4 Essential Things to Avoid During Your Pregnancy! Home PREGNANCY TIPS 4 Essential Things to Avoid During Your Pregnancy! Yours and your baby’s health are the most important factors of healthy and normal pregnancy. So, you should quit smoking, alcohol, excessive caffeine and un-prescribed medications. According to the research, each of these things will cause different risks to you and your unborn baby. Smoking during pregnancy causes your baby to born prematurely and with a low birth weight. Smoking causes your baby to born with organs smaller in size when compared to the babies born to non-smokers. It results in poorer lung function in your newborn baby. Your baby will become ill more frequently. Your baby needs to suffer from frequent colds. The baby will get very painful diseases like inflammation of the middle ear and more frequent bronchial asthma during early childhood. There are chances that your baby can become a smoker in the later years of life. Alcohol consumption during your pregnancy can cause physical and mental birth defects. Each year more than 40,000 babies are born with some type of alcohol related defects. Moderate or light drinking may also harm your fetus. Alcohol consumption in your pregnancy can cause birth defects like, mental retardation, emotional, learning and behavioral problems. Alcohol during pregnancy can cause heart diseases and also face and other organ defects. Fetal alcohol spectrum disorder describes various illnesses associated with exposure to alcohol before the birth. Fetal alcohol syndrome is the most severe form of this disease. This is a combination of both mental and physical defects. Low birth weight, miscarriage and stillbirth are the result of increased alcohol consumption during pregnancy. Caffeine is a stimulant and diuretic. As it is a stimulant, it increases your blood pressure and heart rate. Also, it increases the frequency of urination. Caffeine mainly causes reduction in your body fluids and thus leading to dehydration. Excessive caffeine can cause changes in your baby’s sleep patterns or normal movements in the later stages of pregnancy. It keeps both you and your baby awake. It causes infertility and miscarriage. Caffeine not only found in coffee, but also you will find it in soda, chocolate, tea and also in some over-the-counter drugs that help to relieve your headache. So, you must be aware of what you eat and drink. Don’t use any medication unless it is prescribed by your doctor. 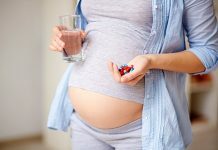 Some medications may cause harmful effects on your fetus. Common pain relievers can cause birth defects. So, you should be very careful while consuming any substances related to the above mentioned things. Completely avoid consuming these things for your baby’s healthy growth and development. Previous articleHow To Prevent Pregnancy Stretch Marks? Next articleHow Baby’s Body Weight Is Affected With Intrauterine Growth Retardation?